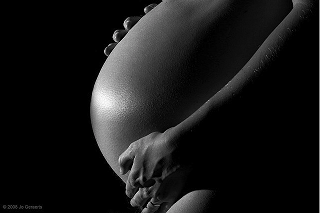 Young black women who are obese or heavy through the hips were less likely to become pregnant, according to a substudy of the ongoing, prospective Black Women's Health Study. Fecundity was significantly reduced in a dose-response fashion for women who were overweight (fecundity ratio, 0.89), obese (FR, 0.75) and very obese (FR, 0.68) after adjustment for age, education, smoking history, alcohol intake, physical activity, parity, region, and waist-to-hip ratio. A large waist-to-hip ratio (defined as 0.8 or greater), also was significantly associated with lower fecundity (FR, 0.73), with fecundity ratios less than 1 indicating reduced fecundity or longer time to pregnancy (TTP).